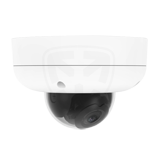 MV12, the second generation of the MV family, brings powerful, advanced analytics capabilities to the Meraki security camera offering in a sleek and compact new form factor. With a more powerful processor and all the architectural benefits of the first generation, MV12 represents a shift from cameras simply ensuring physical safety and security, to providing business intelligence as well. As with the entire MV lineup, MV12 features an innovative architecture which places high-endurance storage locally on the camera and removes the network video recorder (NVR) from the equation. Not only does this drastically simplify both installation and scaling, but it also eliminates a major network security vulnerability in the IT infrastructure. Features like LLDP insights, offline device alerting, and built-in remote troubleshooting tools reduce time to resolution and free up personnel to make IT improvements, providing added business value. And, because MV is managed through the browser-based Meraki dashboard and operates using a licensing model, there’s no need to purchase, download, and maintain any additional software. Management through the Meraki dashboard ensures firmware updates will continually roll out over the lifespan of the product, meaning its value will only increase over time. 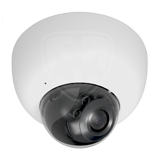 Featuring an industry-leading processor, these three camera models are not only capable of providing high definition (1080p) video, but they also allow for on-board analytics capabilities that previously required additional software and heavy-duty hardware. Harnessing the power of computer vision and machine learning, this camera line will learn to identify object categories, like people. Over time, MV12 will quantify how many people walked by a new t-shirt display in a retail location or lined up at a bus stop, better quantifying customer behavior patterns. And the best part is that it will only get smarter over time. simplified architecture also decreases OPEX costs. Each MV camera comes with integrated, ultra reliable, industrial-grade storage. This cutting edge technology allows the system to efficiently scale to any size because the storage expands with the addition of each camera. Plus, administrators can rest easy knowing that even if the network connection cuts out, the cameras will continue to record footage. MV takes a unique approach to handling motion data by analyzing video on the camera itself, but indexing motion in the cloud. This hybrid motion-based retention strategy plus scheduled recording give users the ability to define the video retention method that works best for every deployment. The motion-based retention tool allows users to pick the video bit rate and frame rate to find the perfect balance between storage length and image quality. All cameras retain continuous footage as a safety net for the last 72 hours before intelligently trimming stored video that contains no motion. Determine when cameras are recording, and when they’re not, with scheduled recording. Create schedule templates for groups of cameras and store only what’s needed, nothing more. Turn off recording altogether and only view live footage for selective privacy. Best of all, the dashboard provides a real-time retention estimate for each camera, removing the guesswork. 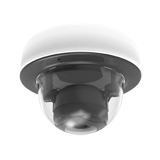 Meraki MV cameras use intelligent motion search to quickly find important segments of video amongst hours of recordings. Optimized to eliminate noise and false positives, this allows users to retrospectively zero-in on relevant events with minimal effort. MV's motion indexing offers an intuitive search interface. Select the elements of the scene that are of interest and dashboard will retrieve all of the activity that occurred in that area. Laptop go missing? Drag the mouse over where it was last seen and quickly find out when it happened and who was responsible. insights into office foot traffic and your customers' behavior patterns with a single security camera solution—no servers, special software, or dedicated cameras required. Motion heat maps provide an overview of relative motion in a given area hour-by-hour or day-by-day, helping you to paint a picture of general motion trends. Start expecting more from your cameras than just security. There is often a need to allow different users access but with tailored controls appropriate for their particular roles. For example, a receptionist needing to see who is at the front door probably does not need full camera configuration privileges. The Meraki dashboard has a set of granular controls for defining what a user can or cannot do. Prevent security staff from changing network settings, limit views to only selected cameras, or restrict the export of video: you decide what is possible. With the Meraki cloud authentication architecture, these controls scale for any organization and support Security Assertion Markup Language (SAML) integration. video management software (VMS) is now a thing of the past. Additionally, features like the powerful drag-anddrop video wall help to streamline remote device management and monitoring — whether cameras are deployed at one site, or across the globe. Centralized cloud management offers one of the most secure platforms available for camera operation. All access to the camera is encrypted with a public key infrastructure (PKI) that includes individual camera certificates. Integrated two-factor authentication provides strong access controls. Local video is also encrypted by default and adds a final layer of security that can't be turned off. All software updates are managed automatically for the delivery of new features and to enable rapid security updates. Scheduled maintenance windows ensure the MV family continues to address users' needs with the delivery of new features as part of the all-inclusive licensed service.